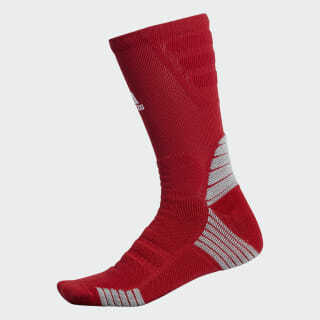 Supportive socks that keep you dry while training. These crew socks keep your feet cushioned and comfortable while you hit your lunges, jump squats and burpees. Made of moisture-wicking fabric, they have built-in arch support for extra stability.